When you're interested in a new Dodge model but aren't ready for all that comes with vehicle ownership, consider leasing a vehicle from Robbins Chrysler Dodge Jeep Ram FIAT. The friendly experts in our Manhattan, Kansas auto financing department can help walk you through our various leasing options and inventory of high-quality models to help you find the car and lease that's right for you. By leasing a Dodge model from Robbins Chrysler Dodge Jeep Ram FIAT, you can drive a new car every year without the hassle associated with selling your current vehicle. With advantages including low vehicle mileage and flexible monthly payments, our Dodge leasing options at Robbins Chrysler Dodge Jeep Ram FIAT is a great way to get behind the wheel of a car you love. 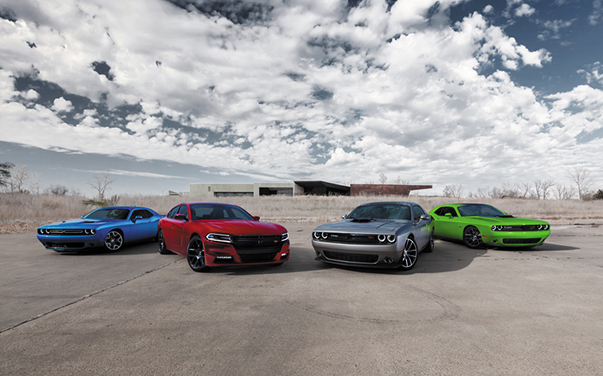 Visit us today at our Manhattan, KS auto dealership to begin your journey to driving away in a new Dodge model. With a Dodge lease from Robbins Chrysler Dodge Jeep Ram FIAT in Manhattan, KS you'll have access to our newest models year after year. Choose from a variety of models including the impressive Dodge Journey SUV, a vehicle ready to tackle off-road travels and morning commutes with enough space to keep your passengers happy. The Dodge Challenger is ideal for those who love classic, American-made muscle cars that turn heads. From the Dodge Durango to the Dodge Grand Caravan and all of the models in between, Robbins Chrysler Dodge Jeep Ram FIAT has the Dodge vehicle to fit your lifestyle and ideal lease option. Call us today to learn more about our current inventory and auto financing options available. The best part about our Dodge lease options at Robbins Chrysler Dodge Jeep Ram FIAT? Getting the most out of your lease. Our financing experts in our Manhattan, KS auto financing department will walk with you through the entire car-leasing process. Not only will we provide you with information regarding each of our leasing options, we'll also review your credit history to find the best lease option for your budget. When you're ready to drive home in a new Dodge model, visit our auto financing team to start your process of leasing a Dodge vehicle.